Becoming Physically Active: Every Movement Counts — Get healthier. One small step at a time. It’s no secret – Being physically fit leads to better health. Yet, most of us still struggle to find an exercise and fitness routine that we can maintain continuously. Here at Naluri, we’ll help you tackle this challenge head on. Our professional coaches will personalise a plan for you, and guide you to stay on track with your exercise and meal plan that suits your lifestyle. In fact, research shows that engaging a professional coach results in a 350% higher chance of success, by fostering accountability, tailored advice, and the necessary support needed to overcome any inevitable obstacles along the way. By first understanding you of course! Different individuals have different priorities and methods of communication that work for them. When you understand and have better clarity of your “sense of self” and your needs – defining sustainable goals, the right kind of motivations (e.g., Family time, better work performance, etc.,) and the behavioural changes needed – you can transform your life..
Have a clearer understanding of your intrinsic motivations, and how to utilize them. Focus on finding the right “Why” of working out, making it easier to follow through and maintain a sustainable habit and lifestyle. Most people start exercising with a goal (their Why) of looking good physically and achieving a certain level of weight loss. While this may work for some, it’s not usually a lasting motivator for many, as it requires months of effort before any real progress is seen. The truth is, we generally prefer more immediate results that trigger emotional responses such as pleasure and emotional well-being. By learning to reframe your “Why” from a logical goal (e.g., to be healthy, to lose weight, etc.) to something more tangible and intrinsic (Happiness, more energy, family time, etc. ), that you can experience immediately, you’ll be able to escape the cycle of failure and avoid being derailed by roadblocks. The irony is, most people believe that you’re only really working out if you’re sweating a lot and pushing yourself to your limits, which can set you up for failure. 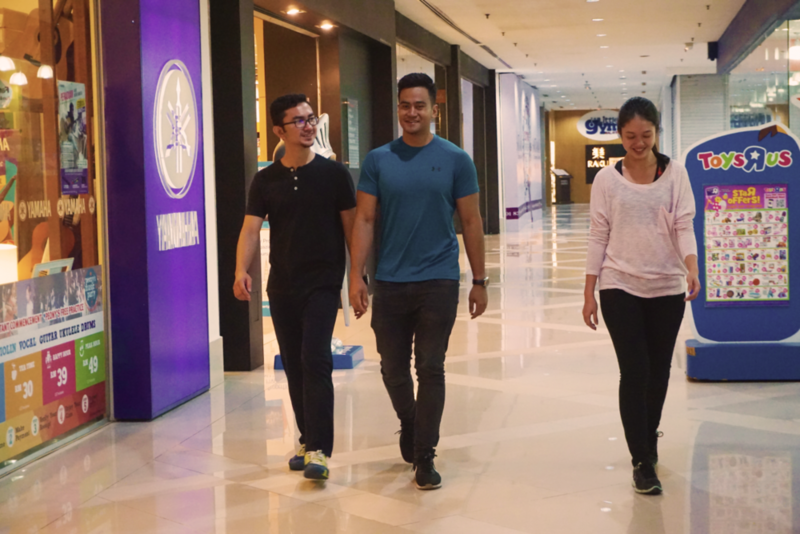 In fact, even a 7-minute workout or a walk around the shopping mall counts too! Redefine exercise from an unlikeable chore to a naturally enjoyable and gratifying gift. Focus on one change at a time, because even little steps count. Find exercise and activity options that are better suited for your daily life and routine. Allow yourself to priorities the importance of “self-care” and see the positive effects it will have in the lives of you and your loved ones. In other words, sustaining a physically active lifestyle IS possible. Just “do what makes you feel good; stop doing what makes you feel bad” and together, we’ll figure out what works best because healthy living is a skill you can improve at, not just something to do.